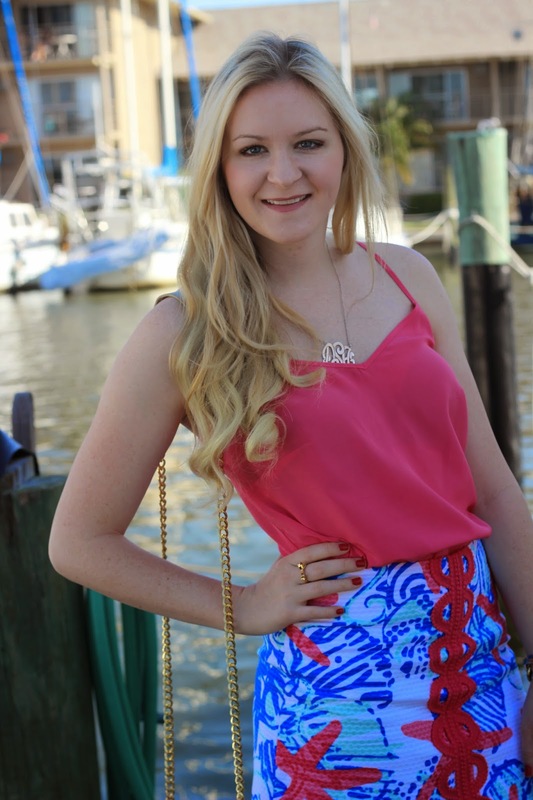 The second look from my Fourth of July Style Series is this Tate skirt in the print She She Shells. 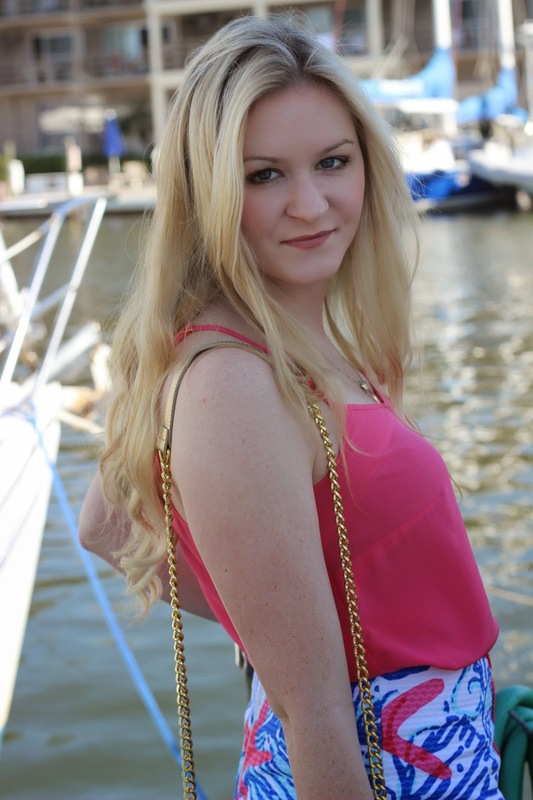 I paired this bright skirt with one of my favorite tops right now; the dusk top in lipstick pink. 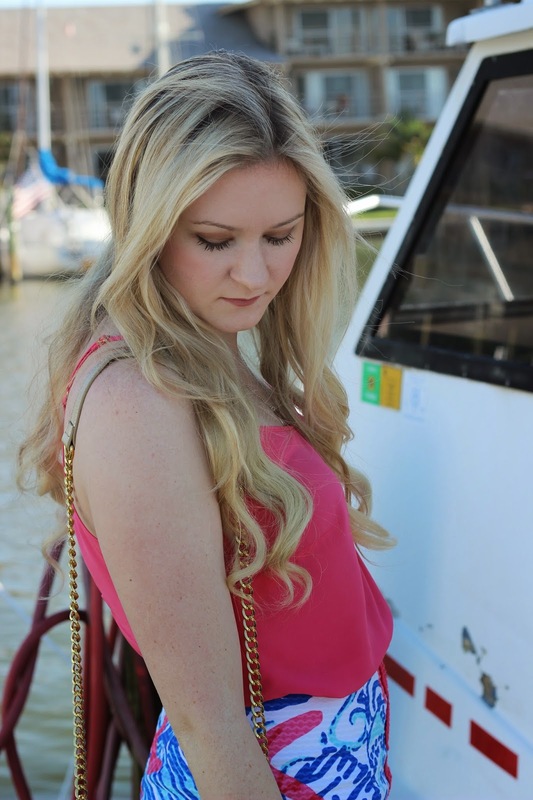 I own this top in almost every color Lilly Pulitzer has made because it is the perfect fit! 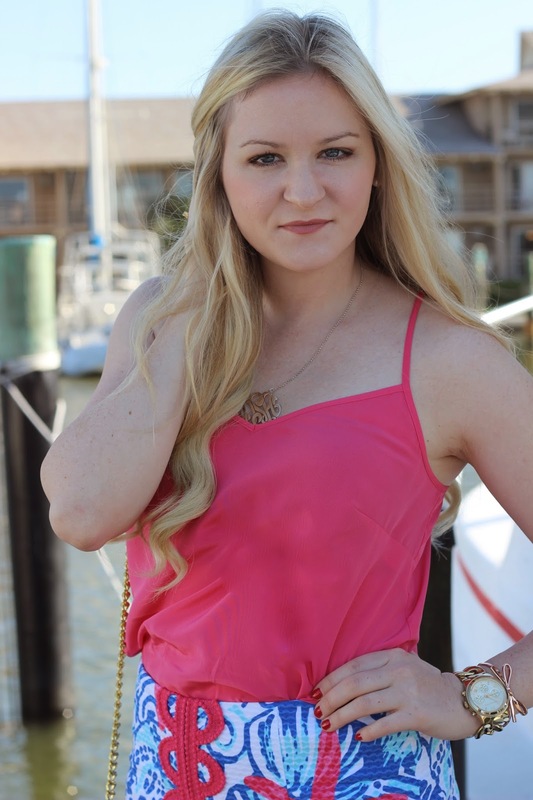 You can dress up this top or you can dress it down; they are so versatile. I also love the extra glam these Palm Beach sandals & Cross Town Clutch add. 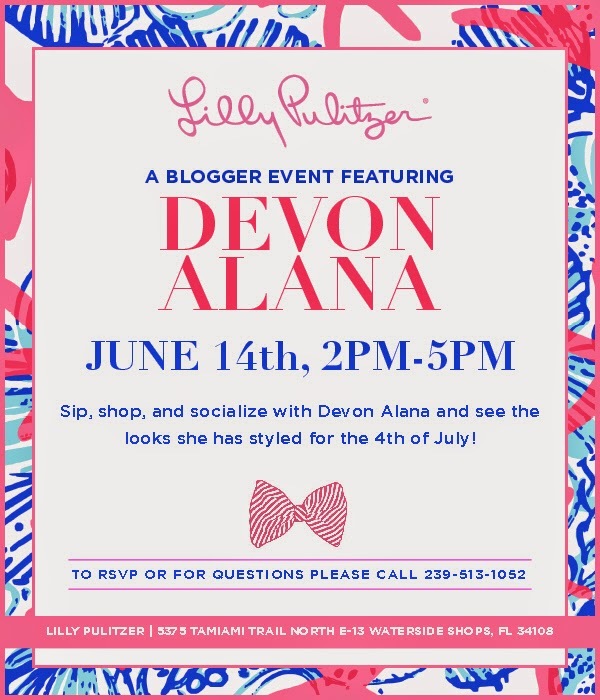 This Saturday June 14th, I will be hosting a trunk show/blogger style event at Lilly Pulitzer in Naples Florida! Come join me to find your perfect outfit for fourth of July. There will be treats, drinks, a giveaway, & merchandise from my Shop! Including these new America Tank Tops.